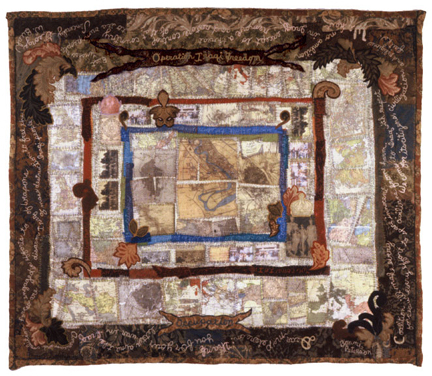 Embroidery and stitching on silk and satin, heat transfers of ancient Iraq and maps, photos from Daley Plaza (Chicago) war protest, and other historic photos. Embroidered on the outside border is a letter I received from George W Bush. It is hand and machine stitched. 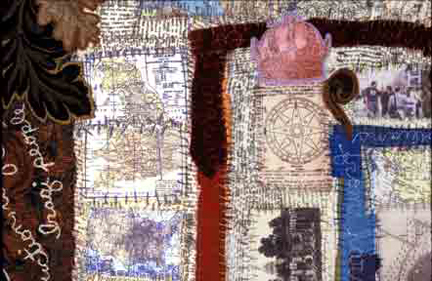 This work is a collage of images, ancient Iraq and Middle East maps, and text embroidery. 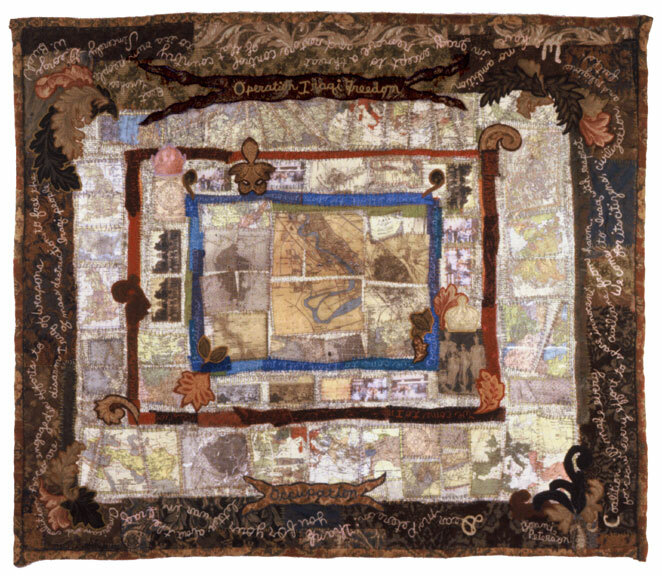 The images include references to British colonial power and Britian's role in the current Iraq War: an old map of England, a photo of the British monarchy (after WW1, from 1921-32 Britian ruled Iraq). A reference to US power is in the image of the US school children lined up in front of the US Capitol; it was my own 8th grade class trip. References to the peace movement are in photos of my children at the first Daley Plaza, Chicago anti war protest held just prior to the first US air strike.